The stories from former Parkrose students range from individuals trying to start fights to racial slurs. Chris Wilson, a 2016 Parkrose graduate, played basketball. 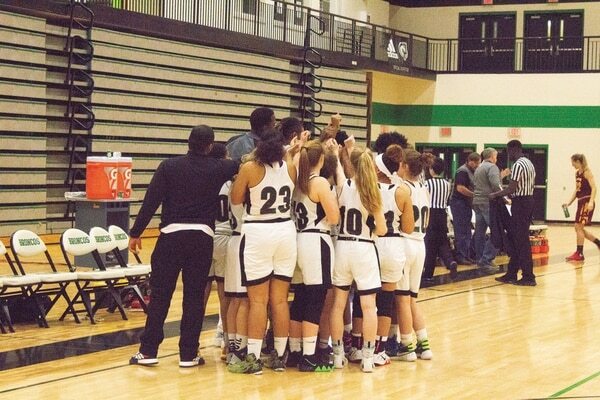 Last month, the 22 players on the Parkrose High School girls' basketball teams boarded a bus going out of town. Their destination was hostile territory: a gymnasium in St. Helens, a town 30 minutes' drive northwest of Portland. What happened at St. Helens High School that night, Jan. 23, made statewide news: Parkrose girls' varsity basketball coach Krystal Forthan alleged a group of fans made monkey noises at Parkrose's black players, and some St. Helens students used the N-word. Forthan told KPTV Fox 12 the slur was used "maybe 15 times. It started in the [junior varsity] game. A few parents heard it. Then it trickled over into the varsity game. I was called a gay N-word." A Parkrose player, whose name WW is withholding, confirmed that description of fans using racist slurs. "Everyone in the gym could hear it," the player says. The racist taunting continued into the parking lot, where she says a St. Helens student again used the N-word and another white male student told a white Parkrose player, "You should be their master, not their teammate." After KPTV first reported on the racial slurs, state Sen. Lew Frederick (D-Portland) recounted the incident on the floor of the state Capitol. "I'd call this a bias crime," Frederick told fellow lawmakers Jan. 29. 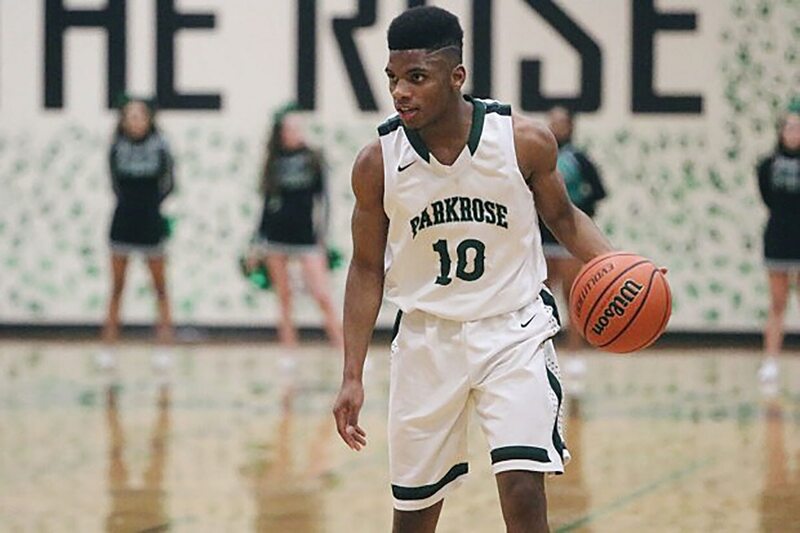 The incident came as no surprise to Parkrose alumni. Three of them told stories to WW of repeated racist harassment from fans and players spanning nine years. The stories from Parkrose students range from individuals trying to start fights to racial slurs. Kyla Henry, a 2009 Parkrose graduate who is Micronesian, says when she was in high school, she faced similar taunts at several schools on the outskirts of Portland. "We just thought it was normal for us to go to these schools and get racially harassed," Henry says. In 2010, Henry was watching her younger sister Brittany play in a girls' basketball game at St. Helens, when a student tried to start a fight with the black father of one of Brittany Henry's teammates. "He kept heckling him, bringing up that he was black, and kept saying, 'You won't fight me,'" Kyla Henry says. Security guards at St. Helens High School removed the student from the gym, she recalls. Sinclair Ashley (bottom of photo) played volleyball at Parkrose High School. She graduated in 2018. 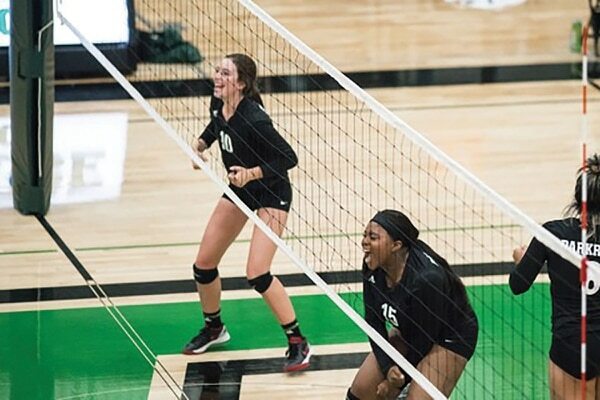 Sinclair Ashley, who graduated from Parkrose in 2018, recalls being at St. Helens for a volleyball match in 2016 and hearing a student in the stands say, "Maybe you'd be better at picking cotton." The following year, Ashley and her teammates hurried to the bus after a volleyball match in St. Helens because they felt unsafe. A white male student was sitting on a ledge outside the school and yelled out to them. "He says, 'Bye, n—s!'" Sinclair recalls. Chris Wilson, a 2016 Parkrose graduate, recalls walking across the street from St. Helens High in 2014 during a junior varsity boys' basketball game to grab dinner before his varsity game. While walking to the restaurant, Wilson and a teammate, who is also black, were stared down by the driver of a car who slowly pulled into the establishment with his brights on. "He was going really, really, really, really slow," Wilson says. While in line at the restaurant, Wilson remembers being stared at by the driver of the pickup. "He was just mean mugging us the entire time we were there," Wilson says. He and his teammate got their food and left without incident. Parkrose and St. Helens high schools are a mere 37 miles apart. In other ways, the distance between them is far greater. Parkrose is the state's most diverse public high school. More than 28 languages are spoken at the school. The school's largest racial group is not white, but Latinx. At St. Helens High, 81 percent of students in the 2017-18 school year were white. One percent were black. The Columbia County high school's lack of racial diversity makes playing them more difficult, says Parkrose Principal Molly Ouche. "This hasn't happened to us when we've played diverse schools," Ouche says. St. Helens Principal Katy West's secretary says West is no longer speaking to the media about the incident. Superintendent Scot Stockwell did not respond to multiple requests for comment. Forthan, the Parkrose coach, also declined to comment. Sen. Frederick says he was unaware of previous incidents at St. Helens. "Some people really believe they are immune from any type of response from the general public or authorities," he tells WW. "We need to make it clear those [actions] are not OK."
Disclosure: Max Denning graduated from Parkrose High School in 2014. He now lives in La Grande, Ore., and is a reporter for The Observer, La Grande's newspaper. 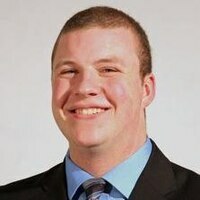 Max Denning was born and raised in Portland, OR. He now studies journalism at Ithaca College. He enjoys Trailblazer basketball and Duck football.